Can’t seem to get your dreadlocks to grow? While some people prefer shorter locks, most prefer longer, more visible locks. But what if your dreadlocks stop growing? Even if it appears that your dreadlocks aren’t growing, they most certainly are. Hair grows at a rate of roughly 0.44 mm per day. The problem, however, is that dreadlocks take longer to grow because the hair follicles are twisted and braided together. So while straight hair may grow 0.44 mm each day, dreadlocks may grow just a fraction of this length. If your dreadlocks aren’t growing fast enough for your liking, you should reevaluate your diet. What type of foods do you normally eat? Are you picking up fast food and other processed meals on a daily basis? Are you meeting the recommended nutritional guidelines set by the USDA? Your diet will play a direct role in the speed at which your hair grows. We’ve talked about this before on our blog, but it’s important to base your diet around fresh vegetables, fruit, lean meats, and whole grains. Doing so will give your body the nutrients it needs to sustain healthy, fast-growing hair. On the other hand, eating fast food on a regular basis will have the opposite effect by stunting the growth of your dreadlocks. Another helpful tip to promote fast-growing dreadlocks is to get a scalp massage. The purpose in doing so is to stimulate blood flow the scalp, which in turn brings vital nutrients and blood to your scalp. And when there’s more nutrients being transported to your scalp, your hair will grow faster and with better health. Of course, another solution is to get extensions for your dreadlocks. There are hair extensions available which have already been braided into locks, making them an excellent choice for people with dreadlocks who are trying to grow longer hair. The only real downside to using extensions is that they may look different from your actual hair. It’s nearly impossible to find an exact match, meaning there might be color or texture difference between your real hair and the extensions. 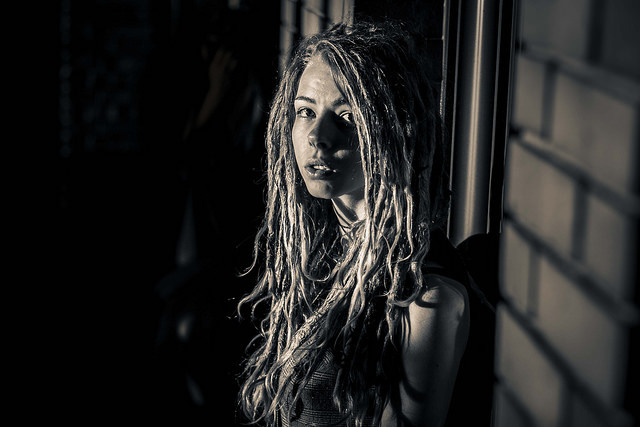 if you’re thinking about wearing extensions, make sure they closely match your existing dreadlocks; otherwise, it will create a messy appearance that does your hair no justice.